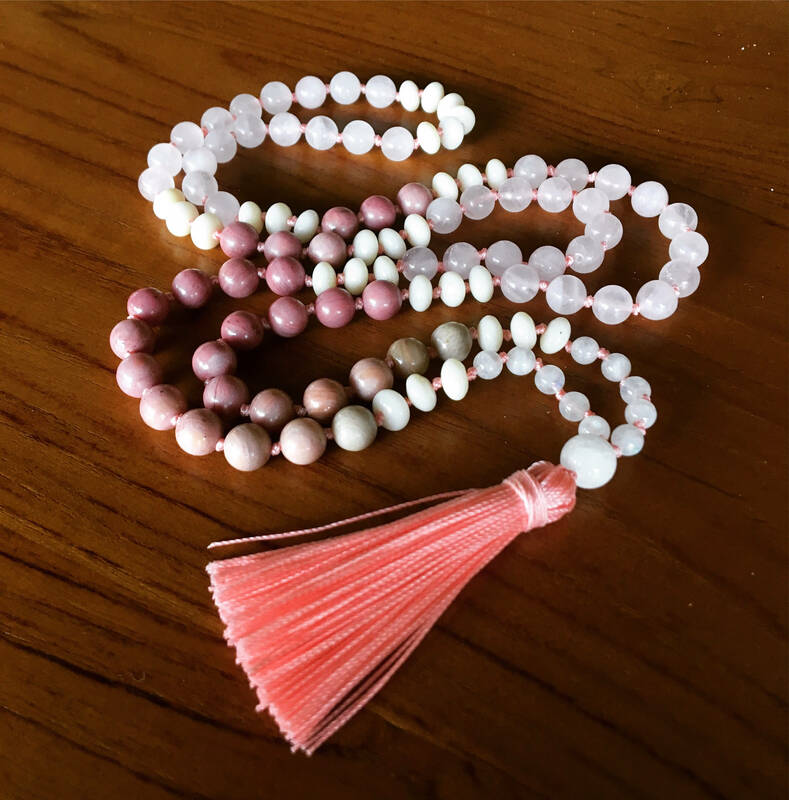 This Mala contains 108 gemstone beads and can be used for meditation or worn as a sweet high vibe accessory. The beautiful mix of stones are inspired by a exquisite human by the name of Priya. Her name means beloved and this mala embodies her presence.